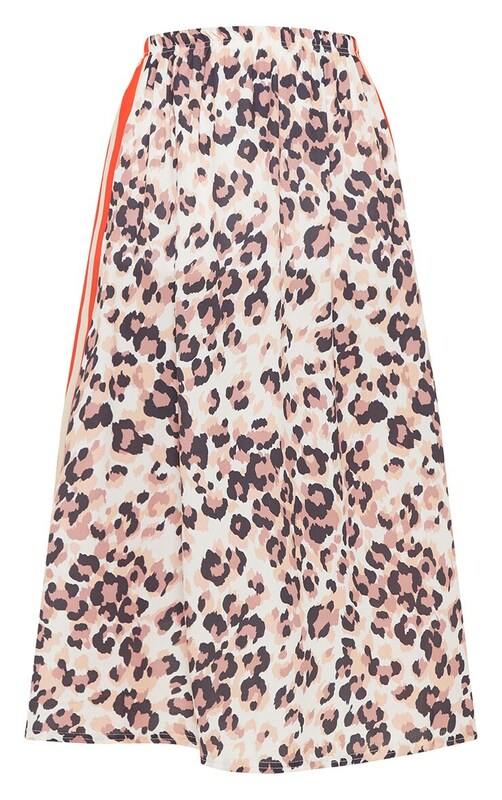 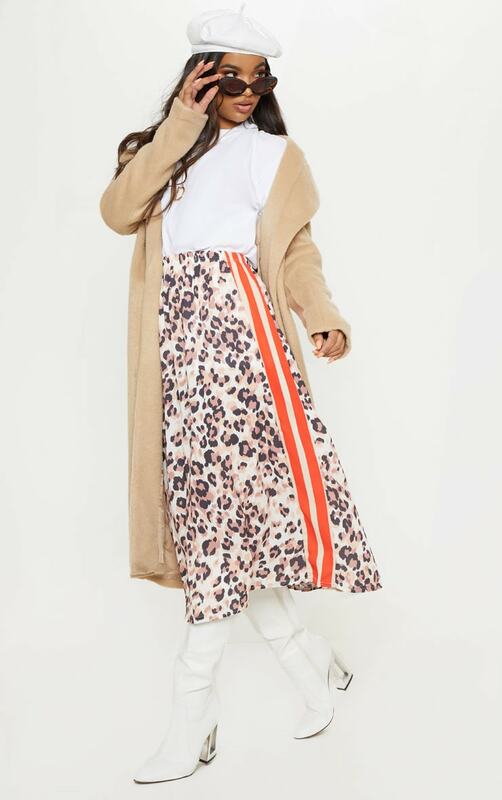 Add a pop of colour to your midi skirt collection. 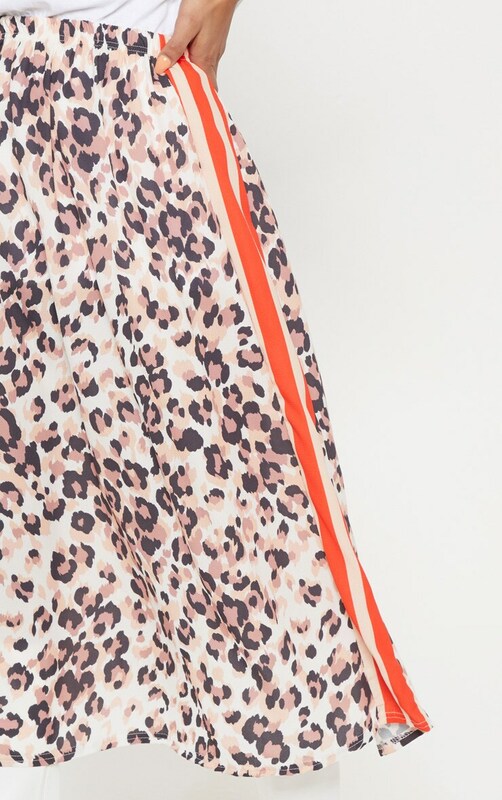 Featuring a chocolate leopard print and orange sport stripe. 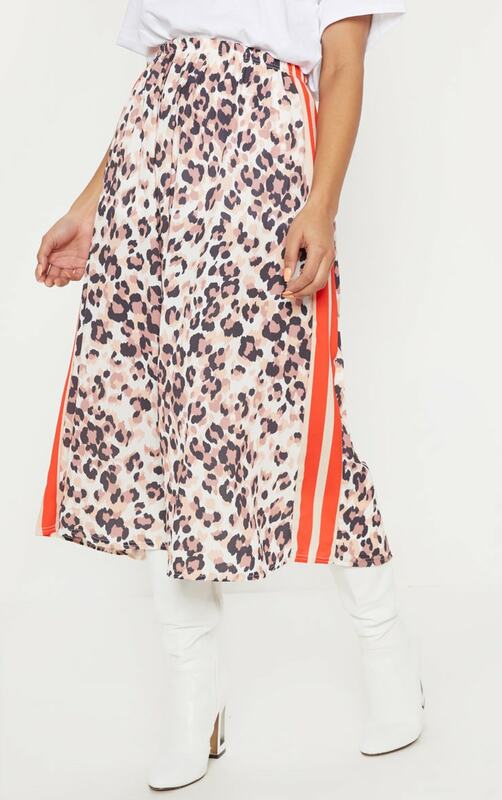 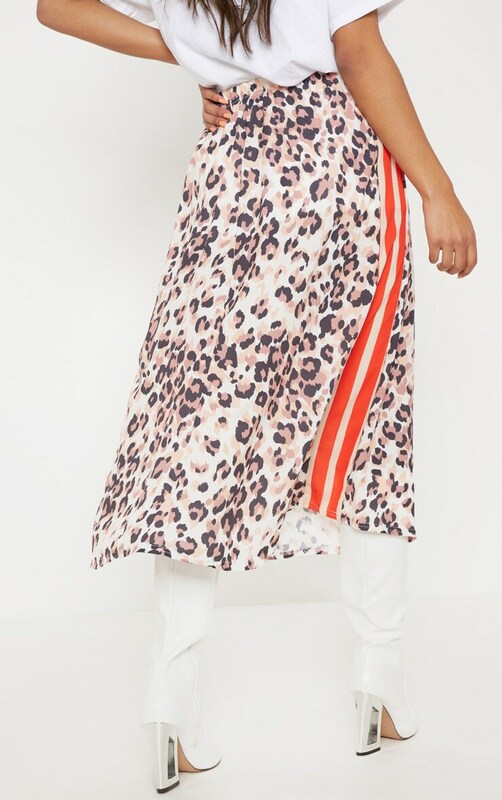 We love this teamed with a white roll neck top and ankle boots for an A/W style we're crushing on.